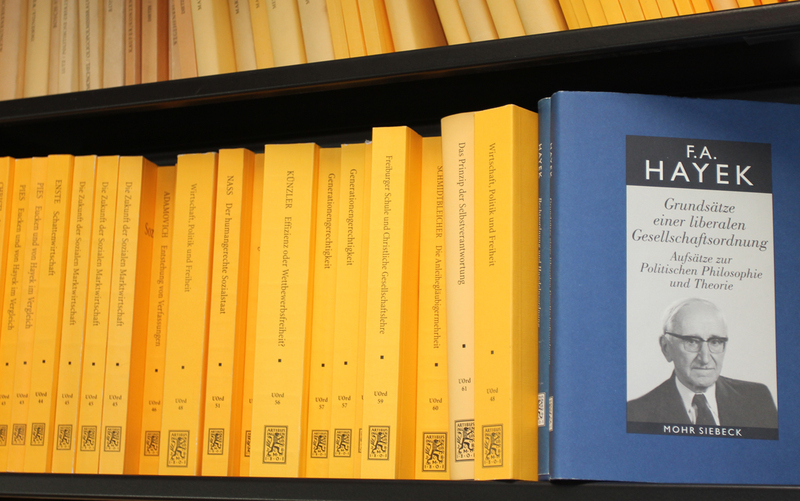 On our German website you find information about the institute’s publication series (Beiträge zur Ordnungstheorie und Ordnungspolitik and Untersuchungen zur Ordnungstheorie und Ordnungspolitik) and about its editional project (Friedrich August von Hayek’s collected works in German). The institute’s annual reports are availabe as PFD download. Please note that these sites are only available in German.